KBF is at the spearpoint in adopting electric motors in kayak fishing competition and numbers among its sponsors the world’s leader in this arena—Torqeedo of Starnberg, Germany. Torqeedo set a high bar for kayak drive systems. Their reliable Ultralight 403 is ideal for extended kayak trips. It’s powerful lithium batteries and highly efficient, lightweight motor (only 16 pounds including the battery) can sustain 6 mph over a 25 mile range. 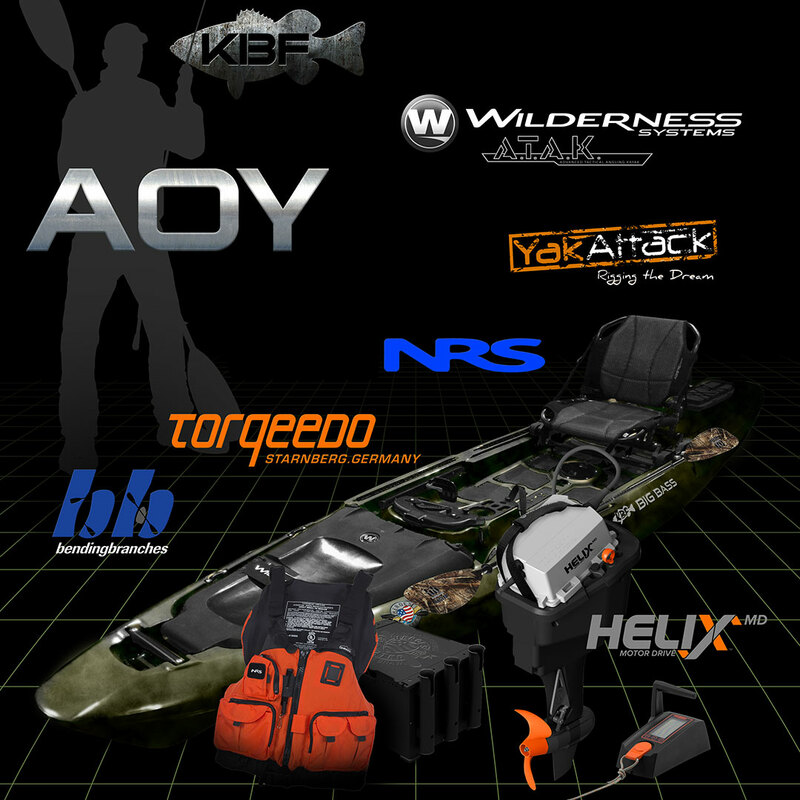 Now, Torqeedo supplies the same technology for Wilderness Systems and Hobie kayak drive modules, and KBF’s 2016 Angler of the Year will win an A.T.A.K. with a Torqeedo Helix motor drive. The Wilderness Systems A.T.A.K. that will be won by one angler in 2016’s first KBF HOW Big Bass Brawl will be powered by a Torqeedo Ultralight 403 drive and lithium battery pack. When mounted and integrated into the kayak’s foot steering system, this gives the anger a 25 mile cruising range at 6 mph. The company is headquartered in Germany, but it leaped at the opportunity to demonstrate it’s support of Heroes on the Water and its mission to help restore and rehabilitate active duty military and veterans with service-related injuries that might otherwise sideline them. Torqeedo’s efficient, powerful electric drive systems will play a role in getting men and women back out on the water and into vigorous outdoor pursuits.